Every Friday here at Sweat Bread, we'll take a stroll in the vegetable garden to see what's growing or going on now. A Friday Forage, if you will. Lettuce, Italian mix, that I flung free-hand. And if you cut as the leaves mature you don't even have to thin out the plants. Look close here for carrot seedlings, really close. I also just sprinkled these, but they will want to be thinned. I may, or I may not. Spring onions. These survived the winter from a late fall planting. Bonus! Behind them is a row of leeks and in front of them a row of spinach and cabbage. I am Jordan. I am always hungry and my only escape from laundry is to go outside and dig in the dirt. So, I grow food and eat it, too. 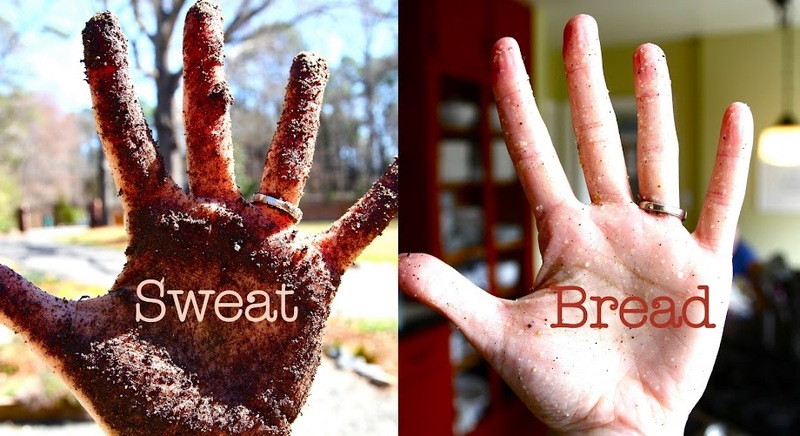 Join me while I sweat for our bread here in Durham, North Carolina. sweatbread. Simple theme. Powered by Blogger.